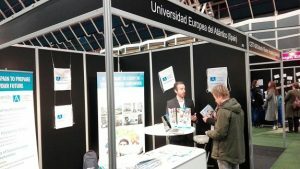 The European University of the Atlantic has participated in De BuitenlandBeurs University fair specialized in studies abroad, which was held last Friday and Saturday in the Dutch city of Utrecht. The delegation of UNEATLANTICO was formed by the head of the International Relations Office, Juan Luis Vidal, and the professor in the business area Inna Alexeeva. They attended the participants who were interested in studying in Spain. 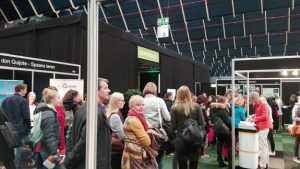 The BuitenlandBeurs University Fair brings together around seven thousand visitors along its two days, most of this visitors are students between the ages of 16 and 30, as well as parents and teachers, young professionals and recent graduates. 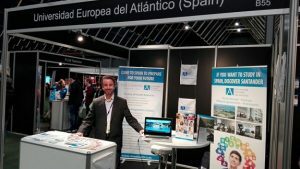 It is therefore the utmost educative meeting in the Netherlands, there are is also information about internships and language courses abroad. 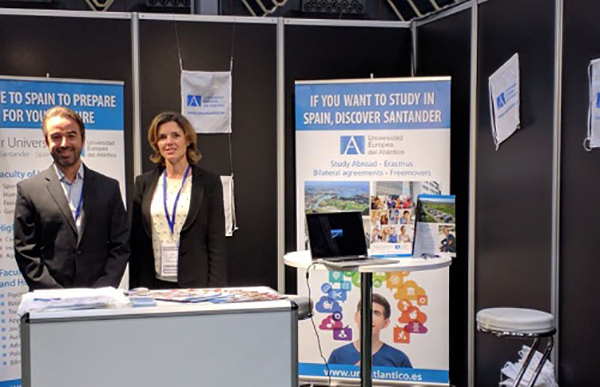 The European University of the Atlantic stand aroused great interest among the attendees; and Vidal and Alexeeva took the opportunity to inform many students and parents about the working methodology of the campus, as well as the university’s programs. On her return from Utrecht, Professor Inna Alexeeva has highlighted “the great interest that European University of the Atlantic arose in the fair. There have been several questions, in particular, about Human Nutrition and Dietetics, Psychology and Sciences of Physical Activity and Sport programs”. Dutch students does not seem to be afraid of studying in Spanish. “On the contrary, they prefer it because they can learn another language. In any case, they seemed pleased to know that there is also a degree in Translation and interpretation, because it made them feel supported“. For his part, Juan Luis Vidal has valued “very positively the fair, which was very well organized. There have been a lot of questions and not only for the Erasmus program, but also to study a degree“.